Private sanctuary home in a neighborhood of only 8 homes yet close to everything! Over 5000 square feet of beautiful finished living space. Complete apartment downstairs with second full kitchen. 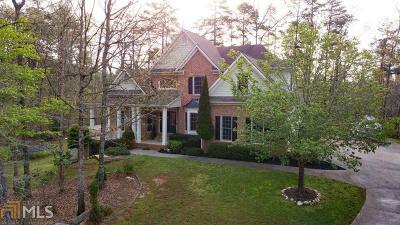 Master on main with hardwoods and large gourmet kitchen. Covered patio and oversize deck give multiple outside entertainment spaces. Cul-de-sac lot for extra privacy. Wildlife in back yard all the time. Must see to appreciate this home!